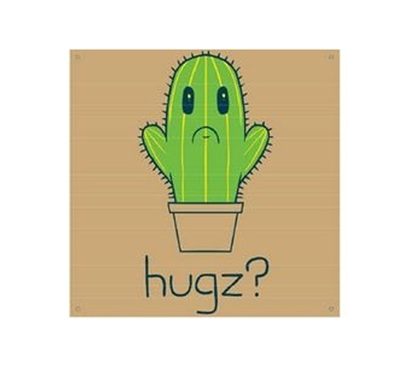 Hugging a cactus just isn't going to happen, so this poor little guy will have to keep on frowning. 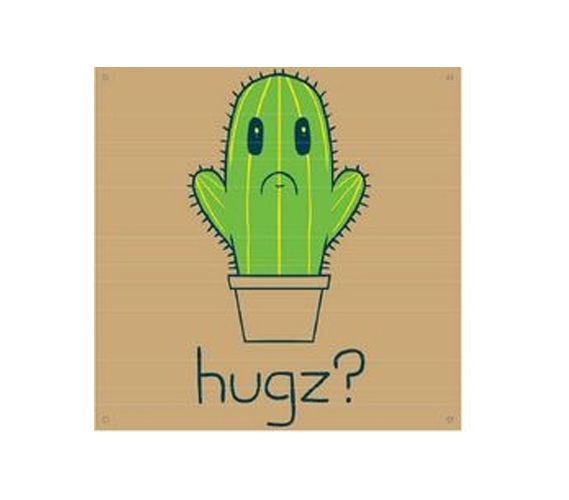 Still, this HUGZ? - Tin Sign is a cute and funny tin sign for college, and it will make a great addition to your college wall decorations. College decor should be varied and should be made up of cool dorm items. The nice thing about dorm tin signs is that they can enhance your college dorm decor and are perfectly reusable decorations for college. All in all, be sure to include at least one tin sign as part of your wall decor for dorms!